We are all interested in making deals and see more of these in the media; this is at least the „bread and butter“ for BD&L professionals and what they are measured against. to achieve their goals but also when the right time is to harvest the asset value they invested in for many years. • Learning how synergies may be exploited for example during M&A transactions. • Discussing the need for strategic access to new technologies. 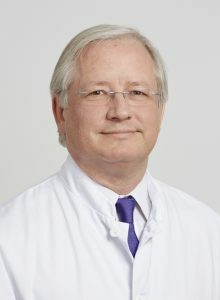 as patient and non-profit to support R&D funding. Join us on Sunday afternoon to be part of our exciting 2019 Winter Conference with high-caliber speakers covering interesting topics. www.swisshlg-conference.com It will be updated regularly over the next few weeks with newly confirmed speakers their abstracts and bios. within different price categories, but all are limited. The EPLC and Swiss HLG are delighted to invite you to the 14th International Pharmaceutical Licensing Symposium; Peak Performance. To be held in Montreux, Switzerland, 19th – 21st September 2018. 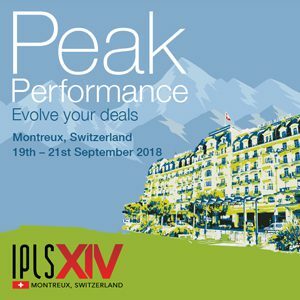 This year the EPLC have put together a program with the theme of Peak Performance designed to help you evolve your deal making in an ever-changing Business Development environment. 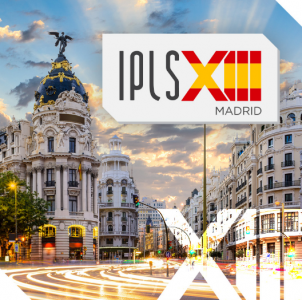 8th IPLS in Madrid – Early Bird Registration Extended until Friday 8th May! Don’t miss out on the early bird discount for the 8th IPLS in Madrid. This offer has been extended until Monday 8th of May, so there’s still time to register at this great price! Benefit from an additional €100 discount, if you are one of the first 20 Swiss hLG members to register. Combine this offer with the early bird special and pay only €775 for this 2-day event. Please highlight that you are entitled to the Swiss HLG offer on your registration for. Not yet a member? Find out why it’s worth joining us! Download the brochure, including the Agenda and Registration form here. While registration has only been open for a few weeks, the conference is filling fast, with a quarter of all places already reserved! This exciting conference has a new feature – the start-up pitches. These will provide a great opportunity to find out about the innovation occurring in Switzerland, as well as what is needed to make it as a start-up and what’s involved in successfully financing your venture. 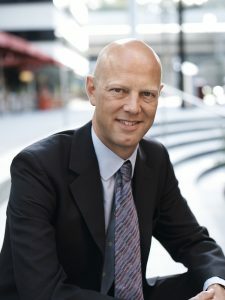 “Challenges in Financing Life Science Ventures”, will give participants the opportunity to connect with start-up friendly organisations, such as Inartis, BioAlps and VentureLab as well as providing opportunities to gain expert insights from start-up founders, including Geneuro, that have already paved the way with their IPO journeys. Big Pharma will be there too. You’ll hear from both VC and BD&L functions, who will explain their financial language differences, helping you to know how to approach the right organisation at the right time! 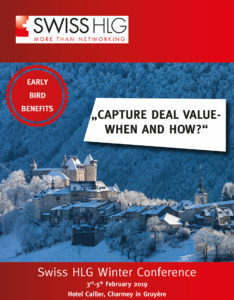 We haven’t forgotten the importance of networking, and as with any Swiss HLG event, there will be plenty of opportunities for you to connect with speakers and attendees. If you are a Swiss HLG Member, we’ve taken this a step further by arranging a member’s only evening on the 13th of June, where you will have the exclusive opportunity to meet the speakers, organisers and sponsors of the Summer Conference, before the crowds arrive. Not yet a member? Why not join us? As a member, you’ll also receive a CHF50- reduction in the registration cost along with many more great benefits. This exciting one-day conference will be held on June 15, 2017, at the Aquatis Hotel, Lausanne. For members of Swiss HLG, stay tuned! Invitations to our members only event, to be held on the evening of the 14th of June, will be sent out shortly. Please download the attached Summer Conference Flyer, where you will find all the links and information necessary for registration, discounted hotel reservations, full program and speaker details. Swiss HLG and BaselArea.swiss are excited to present the Swiss HLG’s latest start-up workshop collaboration. We will explore the value of science vs. the value of cash in the valuation of a Biotech company.The risk-adjusted, net present value (rNPV) method is the standard valuation method used within pharma and biotech companies when valuing assets beyond discovery stage. This approach depicts the drug/pipeline development plan, using R&D costs & timeline, success rates and peak sales potential.The quantity of available information in the pharmaceutical area enables us to determine and provide benchmarks for these assumptions. Well-calibrated, the rNPV method is thus a powerful tool to build, challenge and value the company’s strategy. It also shows how the value of the company develops as it reaches various milestones. Is it, however, enough for investors? From an investor’s perspective, it is crucial to understand how long it will take before they can exit and what is the potential for ROI (Return on Investment)? They need to figure out the conditions necessary to harvest their investment and anticipate the multiple later-round investors and incentive packages required for key employees, that may otherwise, dilute their stake. While rNPV highlights the roadmap for the companies ‘scientific bet’, it is the VC method that is the roadmap for the cash investment. The purpose of this workshop is to decrypt the reasons behind using rNPV or VC methodologies to value a Biotech company. With the support of interactive cases, the participants will learn how Biotech companies can better anticipate the VCs’ point of view when presenting their valuation work. Participation is free of charge, but seats are limited. Registration is compulsory and subjected to validation. Priority is given to people with founded start-ups or concrete projects. Partners or Investors, where is the money and what does it come with? The 2017 Swiss HLG Summer Conference, is a joint venture with Biopole SA and will be held on the 15th June at the Hotel Aquatis, Lausanne. The aim of the conference is to establish high-quality networking among the Swiss Romand healthcare companies, including start-ups, medium and large pharma, life science, biotech and other hybrids of healthcare-centric players. There is also the opportunity for selected companies to increase visibility through conducting an elevator pitch of their innovation. To express your interest in attending, please send an email to info@swisshlg.com, and we will send you the registration details, as soon as they are confirmed. Swiss HLG Winter Conference – A Great Sucess! We kick-started Sunday with a 2-hour workshop, presented by the dynamic and experienced Monika Naef, Certified Global Negotiator and Partner at DUFOUR Attorneys. In this session, delegates were able to gain hands-on experience, negotiating their way out of “An Agreement Gone Sour”. 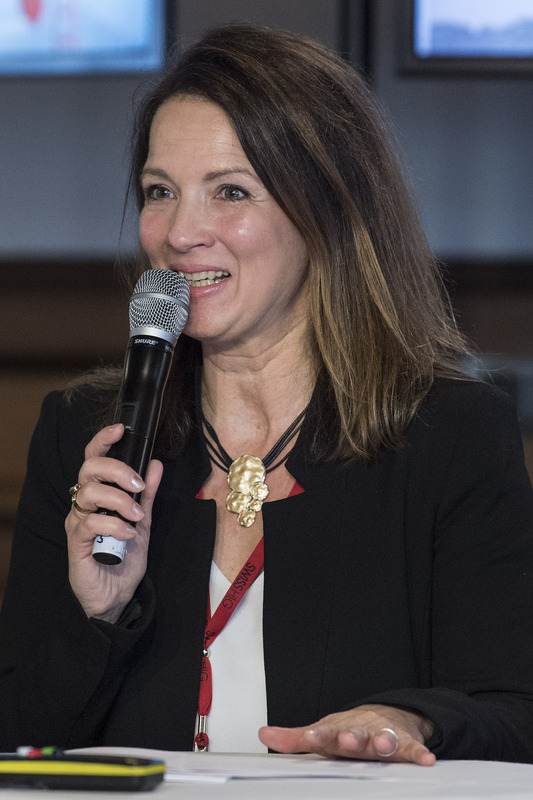 Over coffee, delegates could network with new colleagues and catch up with old friends before the official welcome and opening of the conference was given by Gabrielle Gache, President of Swiss HLG. Thomas Szucs, Chairman of the Board for Helsana Health Insurance, captured the audience with his opening keynote speech – “Developing New Medicines in a Time of Cost Containment“. This was followed by a presentation on “Healthcare Trends and their Impact on Corporate Transactions”, given by Dominik Hotz, Partner, PricewaterhouseCoopers. 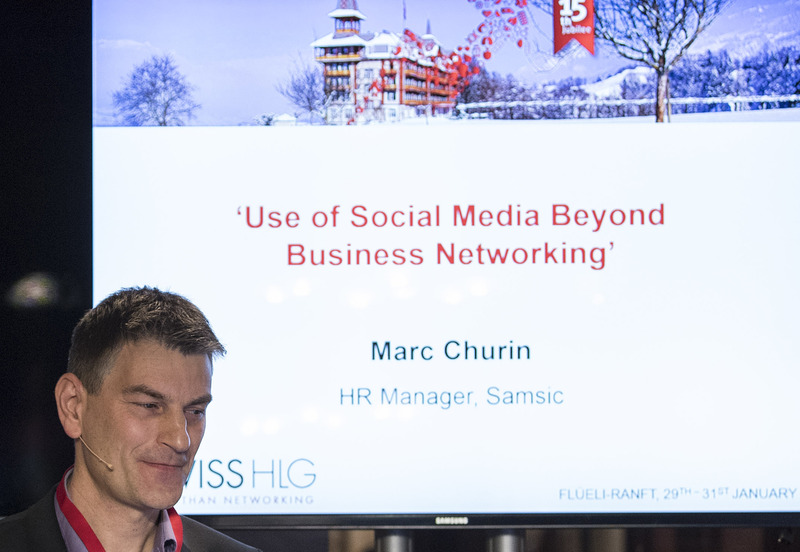 To finish the day’s speakers, Marc Churin, HR Manager Switzerland, for Samsic, gave a lively and interactive personal development session on the “Use of Social Media, Beyond Business Networking”. He showed delegates the many benefits of being a dedicated LinkedIn user, creating synergies and how to reach anyone, in any company, worldwide, within 5 minutes! In the evening, everyone enjoyed a finger food, buffet dinner, with options to dine inside or out. 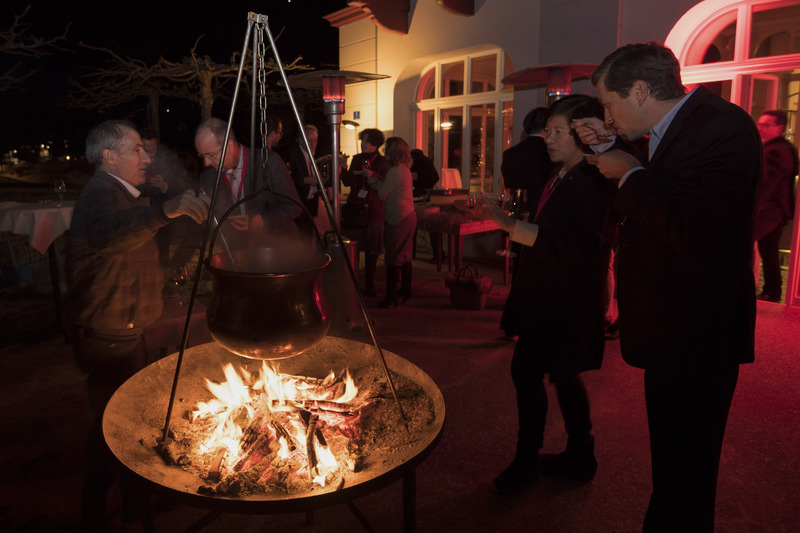 Great opportunities to network in a relaxed atmosphere, combined with eating warm soup and food prepared over the fire were a big hit among the delegates! WEBSITE AND REGISTRATION NOW OPEN! THEME: “Healthcare Megatrends – How do they impact business models and deal structures”? The Swiss HLG Winter Conference aims to inspire and inform. Here is a glimpse of just a few of our upcoming outstanding speakers. They will share their insights on Healthcare Megatrends and the impacts they will have on our business models and deal structures. 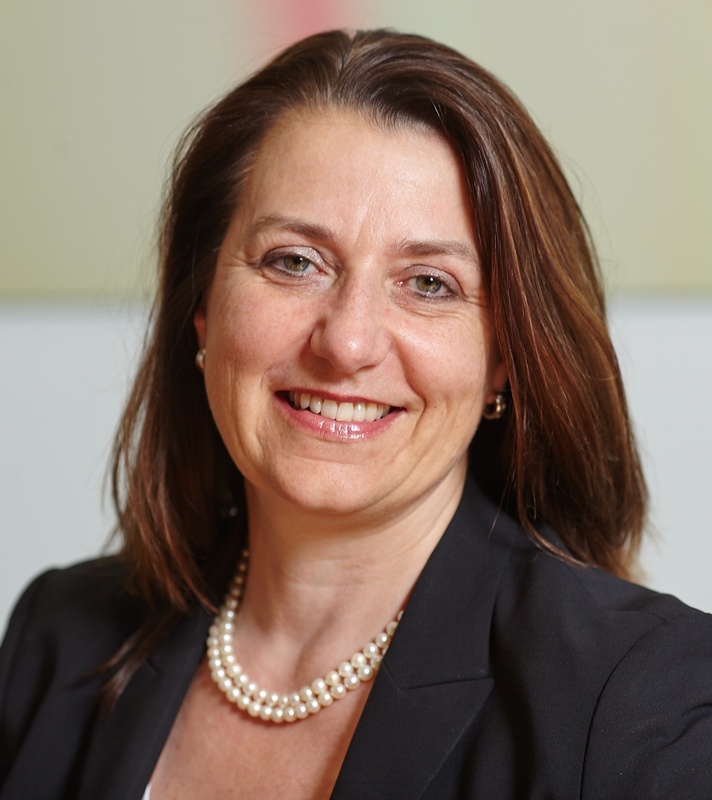 The Program will be complemented by a Personal Development Session on Networking run by Marc Churin, HR Manager at Samsic Swiss and a Pre-Conference Workshop “War of the Roses – Negotiating your way out,” by Monika Naef, Lawyer, Dufour Attorneys and Notary Public. We will also be celebrating our 15th Jubilee. We look forward to having you join us for some stimulating and healthy debates and plenty of Swiss HLG fireside chats, and celebrations! “How do they impact business models and deal structures”? With registration dates confirmed, key-note speakers hand-picked and exciting topics chosen, don’t forget to block out your calendar from the 29th-31st of January. Combine this exciting conference with our 15th-anniversary celebration at the beautiful Jugendstilhotel Paxmontana in Flueli-Ranft, near Lucerne. Read on to find out more about what the Swiss HLG Winter Conference has in store for you. Megatrends are sustained, global, social, economic, political, environmental or technological changes. They are here to stay and will make a considerable and durable impact on the healthcare environment by creating new opportunities, challenges and risks for our businesses. The presenters will challenge our present assumptions by sharing their insights on these Megatrends and the impacts on our business models and deal structures in the foreseeable future. There will also be exciting open panel discussions, where input from all participants will be welcome, to better define, describe and address these upcoming challenges. Come a day early to the 8th EPLS in Brussels, on Wednesday 21st September, and get involved in a great new initiative, co-organised by EPLS and Europharm SMC! 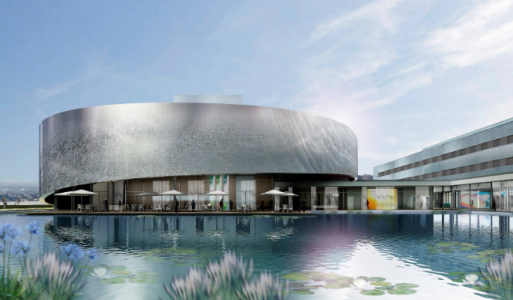 They have established an exciting afternoon of B2B, One-to-One business meetings, which will be held at the Radisson Blue Royal Hotel, Brussels. Only two months until kickoff! Don’t forget to register for the 8th EPLS in Brussels. A summary of the conference is below, and you can follow the links for registration and more information. Swiss HLG Member Discount – Provide your Swiss HLG Member number when you register and receive an extra 100 euros discount. This year the Executive Committee have once again put together an exciting programme of presentations and social events. The two-day event will feature 5 sessions with presentations, case studies and a panel discussion on different aspects of the industry covering: Strategic Issues, Deal Finances & Valuation, Biosimilars / Generics, Panel Discussion – European Market Access (with representation from France, Germany, Italy, Spain and the UK) and Patient Centricity / Digital health. Take the opportunity to hear about the next level of Swiss HLG’s Good Partnering Practices (GPP) Initiative on Friday morning. The main gala dinner will be held on Thursday evening at the elegant Théatre du Vaudeville, a 2-minute walk from the Radisson Blue Royal Hotel and 1 minute from the Grand Place. This stunning theatre was inaugurated in 1884 and has since been restored to its former Victorian glory. Guests will be welcomed with a networking drinks reception before dinner is served in the Theatre. For details on the conference program and venue, please visit the PLG Website. The Swiss HLG board looks forward to meeting you there! This work­shop will show how emer­ging heal­th­care start-ups can ex­pe­dite growth through part­ne­ring and wi­thout equity di­lu­tion. It will ad­dress the key steps, op­por­tu­ni­ties, bot­tle­necks and chal­lenges in part­ne­ring. It is in­ten­ded for en­tre­pre­neurs, people wi­shing to start a heal­th­care com­pany as well as emer­ging com­pa­nies’ CEO/bu­si­ness de­ve­lop­ment exe­cu­tives that wish to un­ders­tand the basic prac­tices of pro­ject va­lua­tion, ne­go­tia­tion, and part­ne­ring. Focus will be on part­ne­ring R&D tech­no­lo­gies as well as pre-cli­ni­cal and cli­ni­cal – stage assets. Be­sides theory, most of the se­mi­nar will be very prac­ti­cal work on case stu­dies and at­ten­dees are in­vi­ted to sub­mit cases to be dis­cus­sed du­ring the event. The work­shop, which will be held on April 27th, 2016, lo­ca­tion to be de­ter­mi­ned, is or­ga­ni­zed by the Swiss HLG, a so­ciety de­di­ca­ted to best prac­tices in li­cen­sing and bu­si­ness de­ve­lop­ment, to­ge­ther with i-net. The par­ti­ci­pa­tion at the event is free of charge, but seats are limited. Please note that re­gis­tra­tion via email to stephan.emmerth@i-net.ch is com­pul­sory and sub­ject to va­li­da­tion. Prio­rity will be given to people with concrete projects and or those from al­ready foun­ded heal­th­care start-ups. We look for­ward to mee­ting you there! Conference Title: “Pharma Partnering: Spotlight on Italy and Central & Eastern Europe”.